"A miracle is a shift in perspective" - join me and a great group of miracle babes for 40 days on a miracle journey in creating radical change and unlimited happiness! We will be following along Gabrielle Bernsteins book "May Cause Miracles" for 40 days of miracle magic. We complete the guide as a group a few times each year where the posts and affirmations are released daily and a giveaway is completed at the end of our journey. Our next round begins September 2018 BUT everyone is working at their own pace and starting when they feel called to do so, you can join the group at anytime for additional support and friendship. There is no rush and no deadline! This 40 day guide CHANGED MY LIFE - I am excited to share it with you! Each day consists of morning and evening mediations, affirmations and thought provoking messages meant to change your life by replacing fear with love. It is easy, super simple, and laid out beautifully. Each day takes about 3-10 min on average - even the busiest of schedules have time for it! -A place to meditate < this does NOT need to be fancy, it can be as simple as a a couch or your bed. If you are able to create a little "zen den", "karma corner", "babe cave" that is great! Either way post your pic on instagram using the hashtag #MiracleTribe - we'd love to see it! If you are ready for radical change & unlimited happiness join me! Dont wait, grab the book this week/weekend & lets get started. Complete the form below to join the journey & receive an invite to the #MiracleTribe Facebook Group! What can I do to make sure you get the BEST experience & the most out of this book? Be sure to post a photo on instagram! 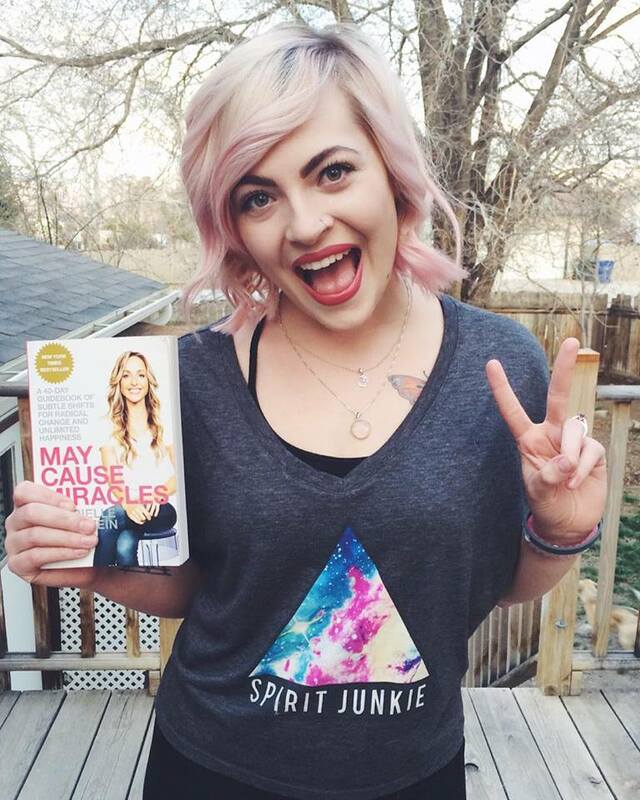 Use the hashtag #MiracleTribe & tag me @MagnoliaRose in the photo! Every photo is an extra entry into a drawing we will do at the end of the 40 days! Use the hashtag #MiracleTribe to be entered into our giveaway at the end of our journey!